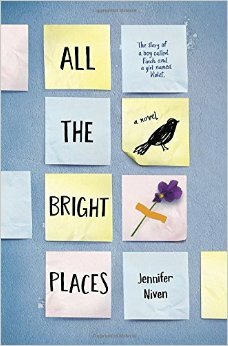 ‘All the Bright Places’ is the first ‘YA’, or ‘Young Adult’, book from Jennifer Niven. And the first YA novel read by the Pemberton Book Club I belong to. As with many YA novels, this one has become extremely popular and is soon to be made into a movie starring Elle Fanning as the female lead. Now, it’s amazing how many people are resistant to reading a book that they’d possibly be ashamed to be seen reading in public. They want to be seen reading great tomes, by well respected, serious authors. Remember Harry Potter and it’s re-vamped cover just for adults?! 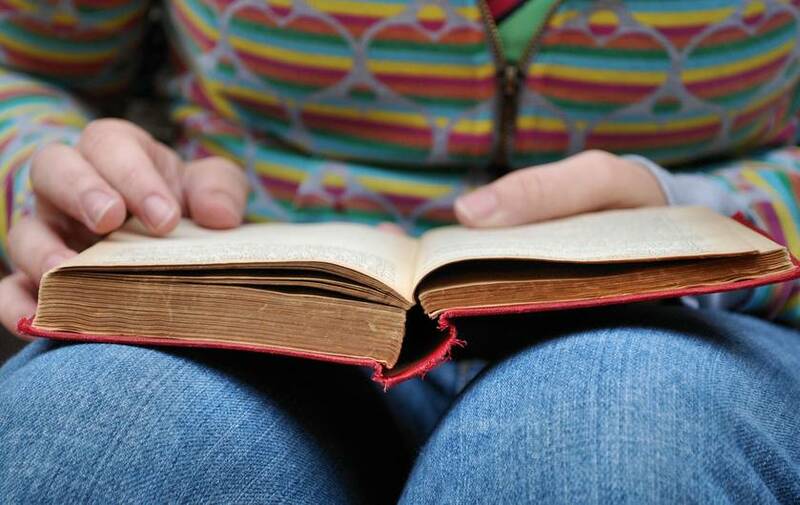 How can one be taken seriously reading books meant for teenagers? Who cares? If you do, you’ll miss out on beautiful, well written, heart wrenching pieces of fiction like All the Bright Places. The book is about Finch, who is fascinated with death and always thinking about ways to kill himself, and Violet, who can’t wait to escape her Indiana town after her sister’s death. Not pretty topics but ones that many of us have had to deal with. And interesting to see how someone else copes (or doesn’t), especially ones so young. It’s always a challenge for me to work out what the title of a book means. Sometimes it’s obvious. Other times, not so much. So, what are these ‘bright places’ to which the book alludes? To me, it’s Finch planting the seeds of excitement about living, loving, and all the bright places he and (Ultra)violet will wander to and experience. The message to take from the book? It’s not what you take, it’s what you leave (behind that helps put all the bright things in one’s life into perspective). With its surprisingly complex characters, relatable conflicts such as death, suicide, depression, mental illness, labels, stigmas, family dysfunction, drugs, to name but a few, and its empowering messages, it’s a tough book not to like. Even if you’re determined not to.